Have you been left with multiple wills or a will and a codicil? Vancouver Estate Lawyers are here to help. Review of section 58 of WESA. If you discover what appears to be multiple wills or a will and a codicil or you simply don’t know whether a document left by a testator constitutes a will, then give Vancouver Estate Lawyers a call. There is a curative provision under s. 58 of the Wills, Estates and Succession Act that may be applicable to your case. In a recent decision, Mace Estate (Re), 2018 BCSC 1284, the court ruled that what the executrix of the Estate referred to as the “Second Will” was in fact a codicil to the First Will. In this decision, the executrix of the Estate brought a Notice of Application seeking a number of court orders. 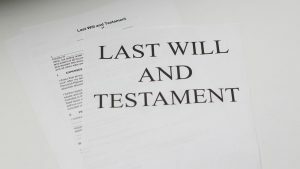 Most notably, the court was tasked with determining whether the Second Will (the “2014 Document”) represented the deceased’s sole testamentary intentions or whether the Second Will was a codicil to the First Will. (c)it is valid under another provision of this Act. The court found that the 2014 Document did not comply with s. 37(1). However, s. 58 of WESA confers a broad discretion on the court to relieve against the consequences of non-compliance with testamentary formalities. (c) is capable of reproduction in a visible form. (c) the intention of a deceased person to revoke, alter or revive a testamentary disposition contained in a document other than a will. (c) as the testamentary intention of the deceased person. (4) If an alteration to a will makes a word or provision illegible and the court is satisfied that the alteration was not made in accordance with this Act, the court may reinstate the original word or provision if there is evidence to establish what the original word or provision was. For the court to grant an order under s. 58 of WESA, the court must be satisfied that a document represents the testamentary intentions of the deceased. Regardless of its form, if the court grants an order under s. 58(3), the document may be admitted to probate. It is worth mentioning that the court’s curative power under s. 58 is also fact-dependent. The court needs to address two key issues: “is the document authentic? The second, and core, issue is whether the non-compliant document represents the deceased’s testamentary intentions.” The testator’s intention must be fixed and final at the material time, which will vary depending on the circumstances. More often than not, the material time for determining the testator’s intentions is the time when the document was created. The mere fact of making a subsequent testamentary paper does not work a total revocation of a prior one, unless the latter expressly, or in effect, revokes the former, or the two be incapable of standing together … And if a subsequent testamentary paper be partly inconsistent with one of an earlier date, then such latter instrument will revoke the former, as to those parts only, where they are inconsistent. Further, the 2014 document did not contain the disposition of residue. The documents were kept together in the same envelop, the deceased did not revoke all her previous wills and codicils in the 2014 document, nor did she dispose of all her assets in the 2014 Document. Therefore, the 2014 document was a codicil. If you need help navigating the estate world, then don’t fret, Vancouver Estate Lawyers are here to help. Call us to schedule your $50 case evaluation.